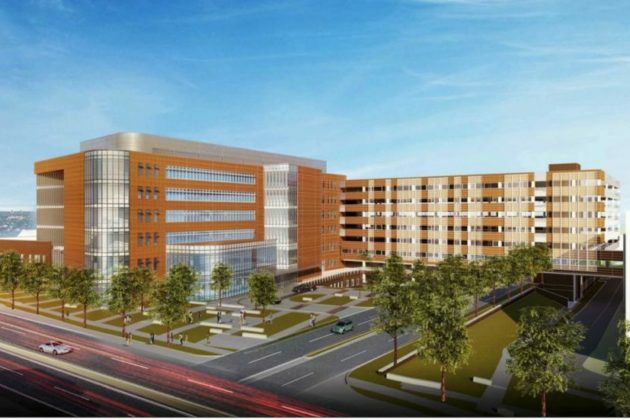 Arlington’s Planning Commission isn’t ready to lend its seal of approval to a major expansion of the Virginia Hospital Center, urging the county’s lone hospital to re-work its plans for the project. 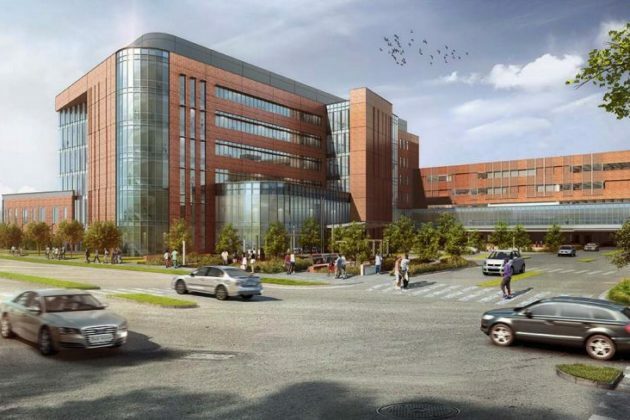 The commission unanimously voted last night (Tuesday) to urge the County Board to delay its consideration of the project, perhaps providing a major speed bump for an expansion the hospital has claimed is essential for serving the county’s growing population in the coming years. VHC has hoped for roughly a year now to acquire a parcel of land adjacent to the hospital’s campus at 1701 N. George Mason Drive, and use it to construct a seven-story outpatient facility and a 10-story parking garage. 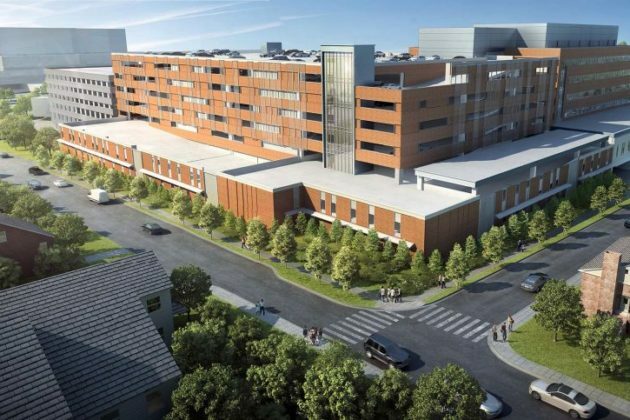 That would enable the hospital to convert some of its existing outpatient space into 101 new hospital beds to better meet local demand, and pave the way for a wholesale redevelopment of the hospital’s campus. But VHC’s plans have consistently run into opposition over the last few months, with neighbors worried that the new buildings will tower over residential neighborhoods in the area and transit advocates fretting that the large new garage will spur hospital employees to choose driving over more environmentally friendly transportation options. The hospital addressed the latter concern by slightly shrinking the size of the garage from 2,093 spaces down to about 1,800, but the neighbors’ concerns about density proved persuasive to the Planning Commission. While they can only recommend that the County Board push back its planned Sept. 22 vote on the project, with the final decision resting with the Board itself, the commission forcefully outlined a series of changes they hope to see to the expansion effort before it becomes a reality. “We all know it’s necessary, but we want to be respectful to the neighbors to north of the property as well as to the south,” said Commission Vice Chair James Schroll. 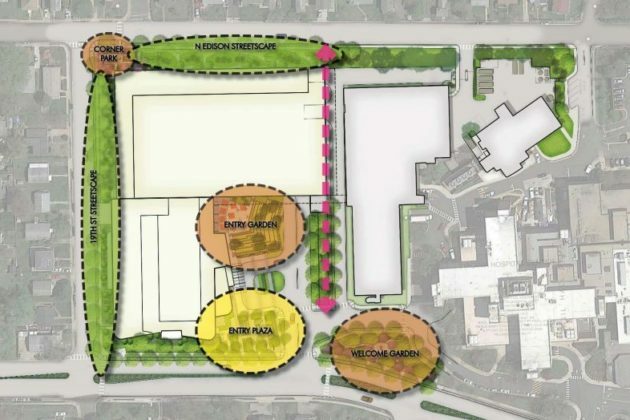 Specifically, the commission wants to see the hospital move some of the largest buildings toward the center of the land it hopes to acquire, which is bounded by 19th Street N. and N. Edison Street. Commissioners were perturbed that the current plans place some of the tallest structures just across the street from single family homes — Commission Chair Jane Siegel compared the new design to a “wall” between the hospital and the nearby neighborhoods. “You’re not transitioning to other large buildings, you’re transitioning to single family neighborhoods,” said Commissioner Nancy Iacomini. Nan Walsh, an attorney representing VHC, argued that the hospital was doing all it could to provide the necessary setbacks and vegetation to help the new structures blend into the neighborhood. However, she stressed that the hospital is fundamentally constrained by the fact it will someday seek to fully redevelop its existing campus and is looking to build on “every single inch of land” it owns in the area. Walsh doesn’t expect any redevelopment of the existing hospital campus to take place over the next 10 years, but she repeatedly stressed that VHC will eventually need to make such an overhaul happen. Accordingly, commissioners frequently wondered why they couldn’t pursue a more holistic “phased development site plan” process, similar to the one developers are currently pursuing for the PenPlace project in Pentagon City. Such a planning process would give the county a chance to study each phase of the hospital’s development as it proceeds, and it’s one commissioners urged VHC to consider going forward.